The National Treatment Purchase Fund (NTPF) is responsible for the collection, collation and validation of Inpatient, Day Case and Outpatient waiting lists. The OP Waiting List report shows the total number of patients waiting, across the various time bands, for a first appointment at a consultant-led Outpatient clinic. Each report lists the numbers waiting per Hospital in each particular specialty. To preserve confidentiality, where there are <5 patients waiting in a particular specialty/hospital, we have aggregated the numbers under a ‘Small Volume’ heading. Each report is aggregated data on a monthly basis over a year. The current year’s report will be appended to each month. Adult/Child classification: From 1/1/2015 this is based on each hospital’s designation, for example all Children’s Hospitals will have all patients set as Child, all Adult-only hospitals have all patients set as Adult and all mixed Adult/Child hospitals have the patients designated based on age (0-15 = Child). Prior to 1/1/2015 each hospital managed their own adult/child classification ages. Please note that NTPF does not collect activity data i.e. numbers treated or removed. We collect a snapshot of the number of patients waiting in each hospital and publish the numbers monthly on our website. Boards and management of individual public hospitals are responsible for the accuracy and the integrity of patient data submitted to NTPF. Work on the quality of this data is ongoing between NTPF and individual hospitals and technical and administrative issues will be addressed as they arise. Notes on data for consideration: • Kilcreene Orthopaedic - OP waiting list included with St Luke’s Hospital Kilkenny. • From July 2015 Tallaght Paediatrics and Adults figures are shown separately. 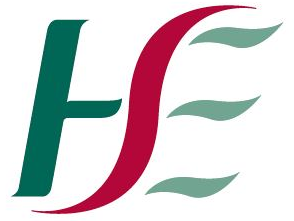 • Due to PAS system upgrade no end of month file for July 2015 was received from University Hospital Limerick, this was resolved by September 2015. • Rotunda hospital was included in the reporting from August 2015. • Due to a PAS system upgrade in Nenagh Hospital no file was received for October 2016 publication.